On what will be their final missions ever in the Zulu Alpha  and the fight of their lives  Homer & Ali, and Predator & Juice, launch out into the terminal post-Apocalypse, as London is overrun by the very last rush of death covering the entire planet. Neither mission can fail, but can all four teammates survive? Or will some go down safeguarding the lives of those they love more than life itself…? 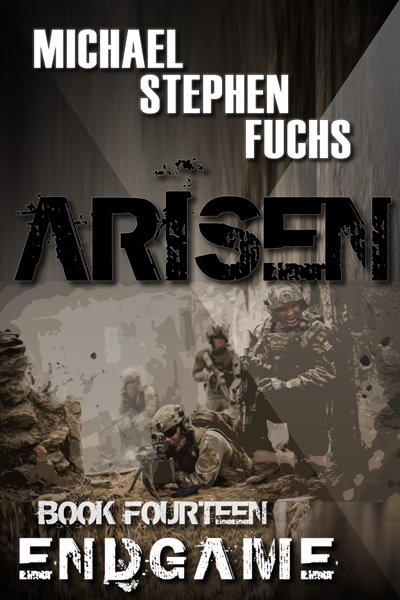 As reinforcements flood into CentCom, ahead of the onslaught of the undead world, one man lies in a coma at the heart of humanity's final fallback position. But will the ghosts of all those who've fallen before, and the love of those who yet remain, be enough to bring him back to life, and back to the fight, in time to lead the final battle…? As CentCom is overrun, and it all collapses and the screen goes black, the last heroes of humanity have one final chance to save the world. But as they cling to one another in their shrinking circle of life, will they be able pull it off in the final seconds, from the mast of the last sinking ship in a world submerged in a sea of death…? Love. Death. The End Of The Line. 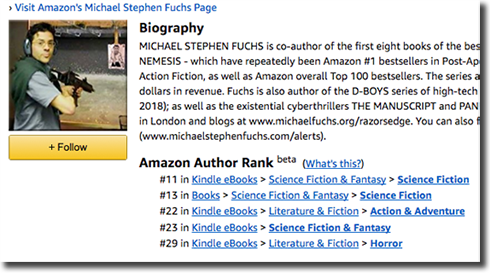 Update: Well, two days after launch, looks like we've almost cracked the Amazon Top 100 again. Maybe we'll get there. Or maybe not. Who cares? I'm done! 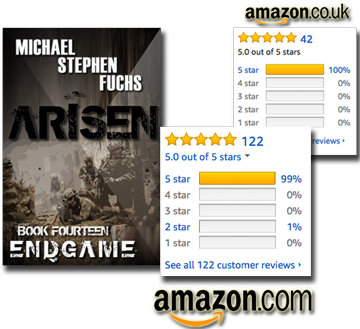 Finally: Of the first 164 reviews (amazon.com and amazon.co.uk), 163 of them are 5-stars. So that's pretty good.